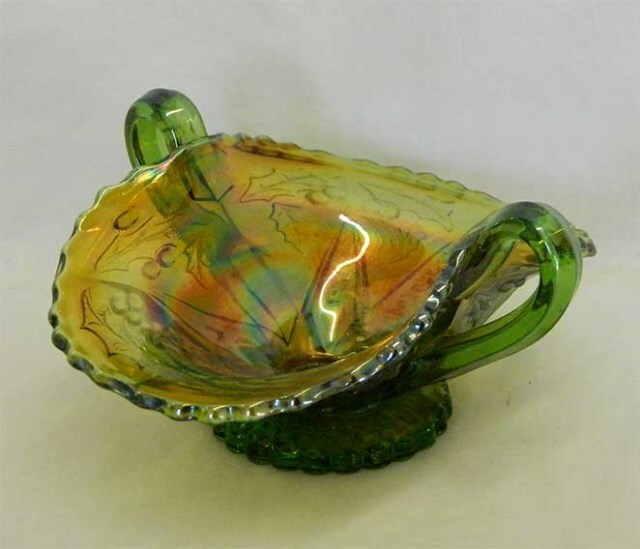 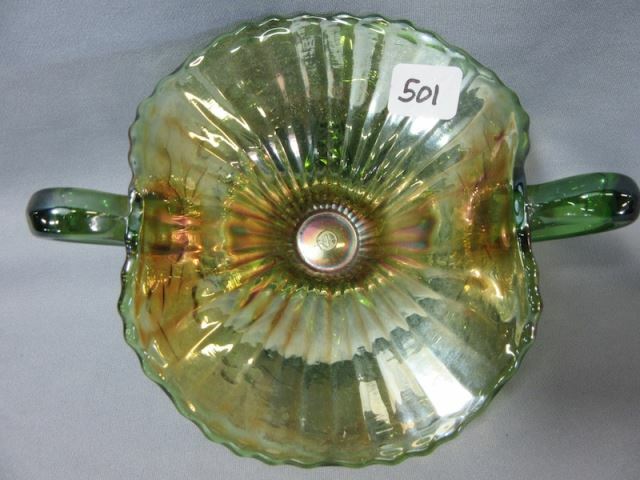 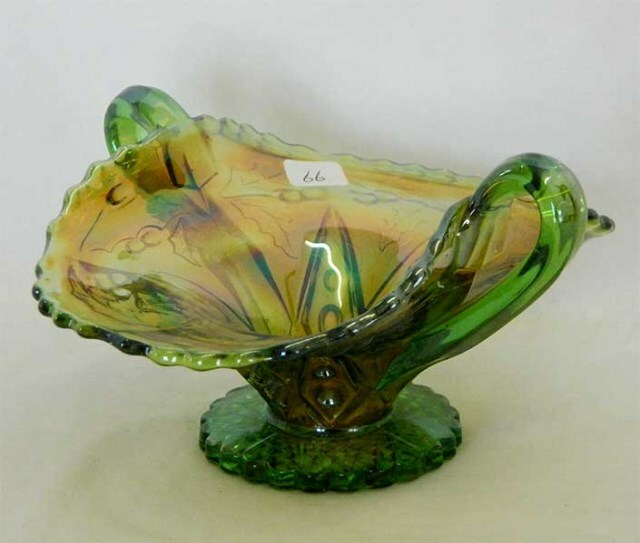 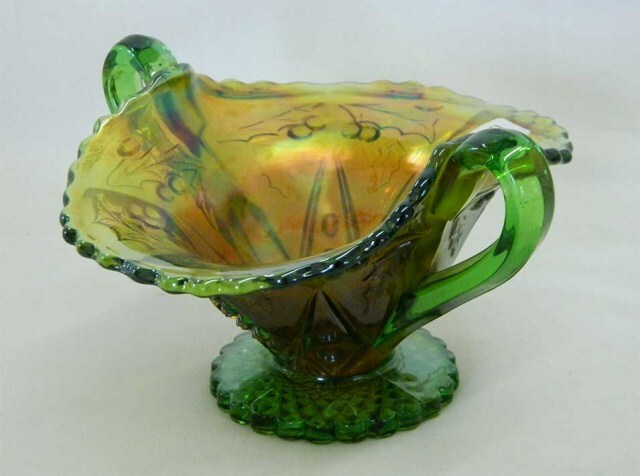 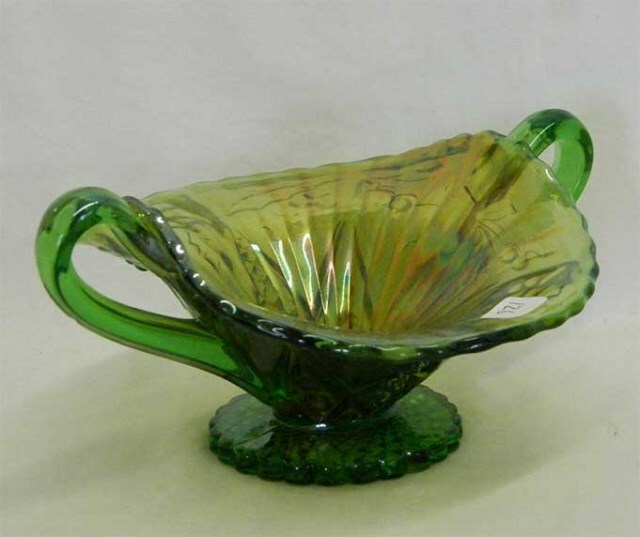 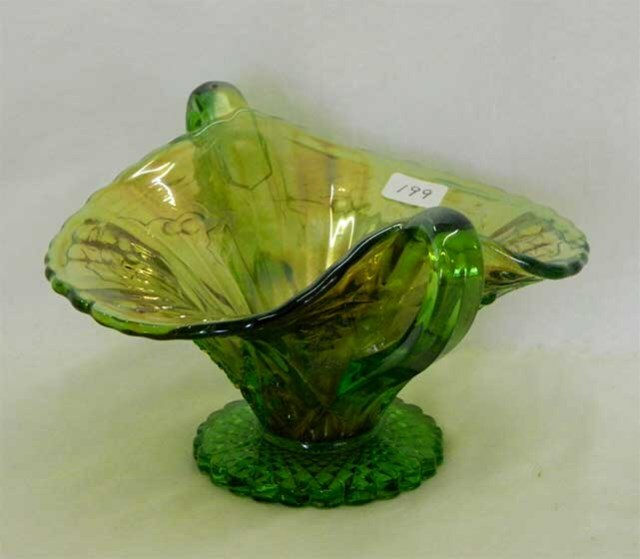 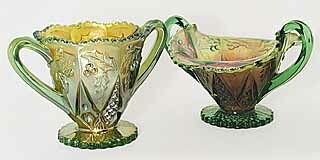 Mostly seen in green bon bons or candy dishes such as on the right in the right-hand photo. 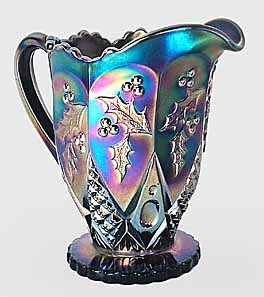 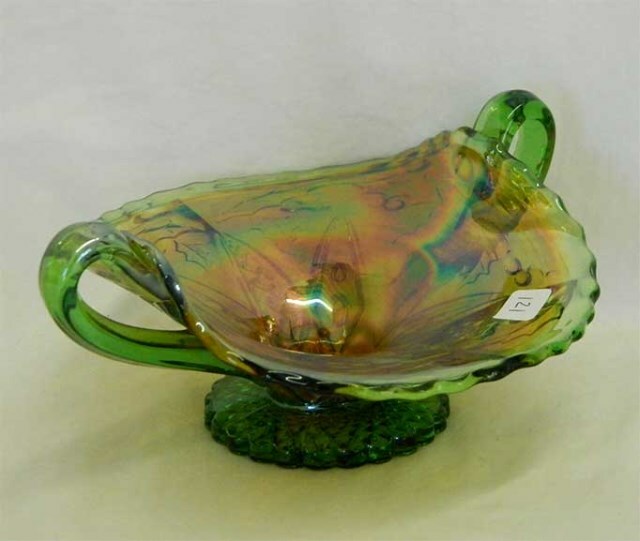 The pitcher on the left is the only known iridized example: in purple, it is in a Wisconsin collection. 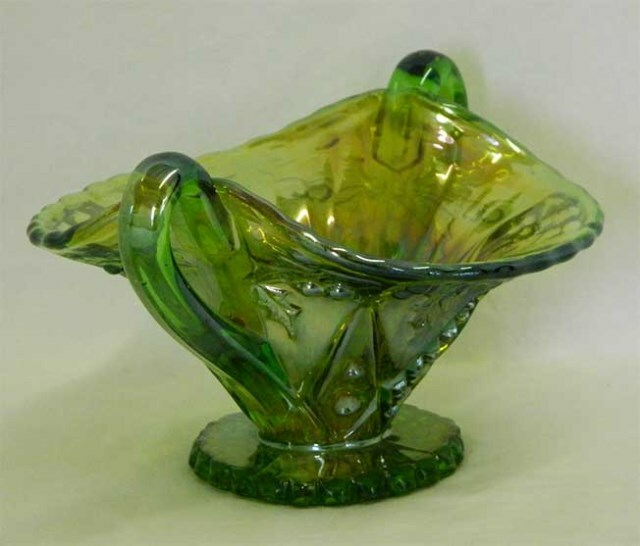 The spooners, as in the right photo at front, are almost as rare: this green example, the only one known in this color, sold for $300 in 1998. 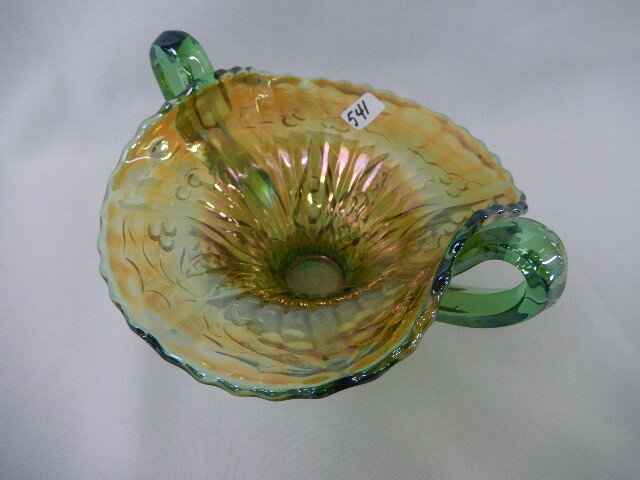 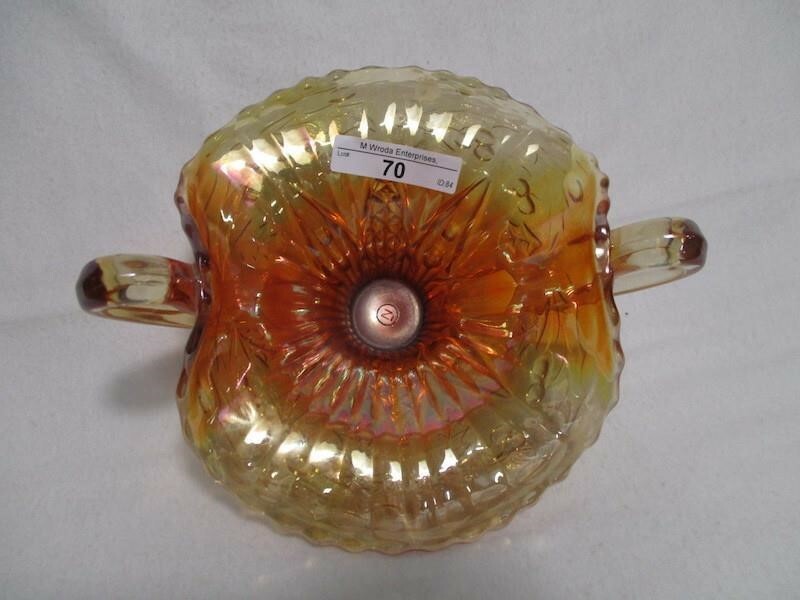 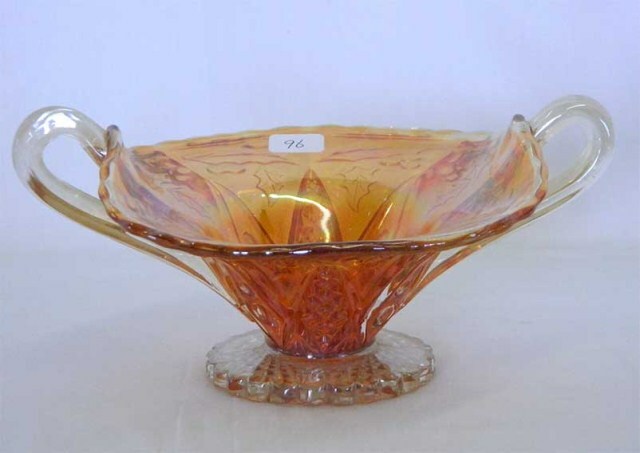 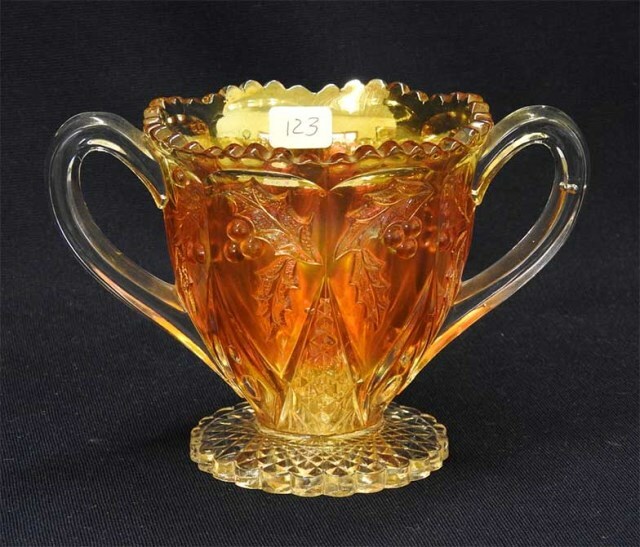 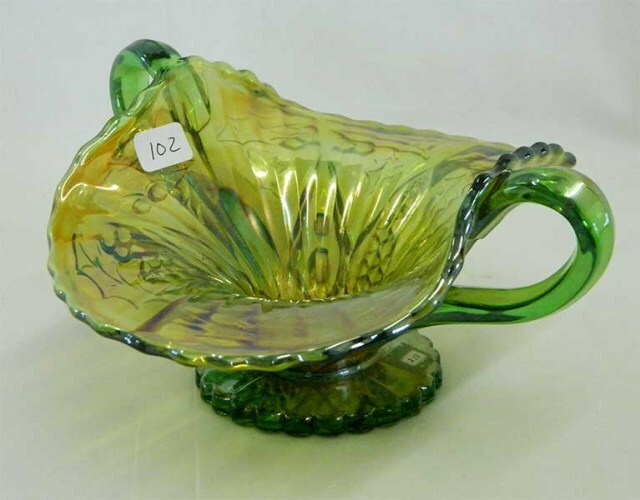 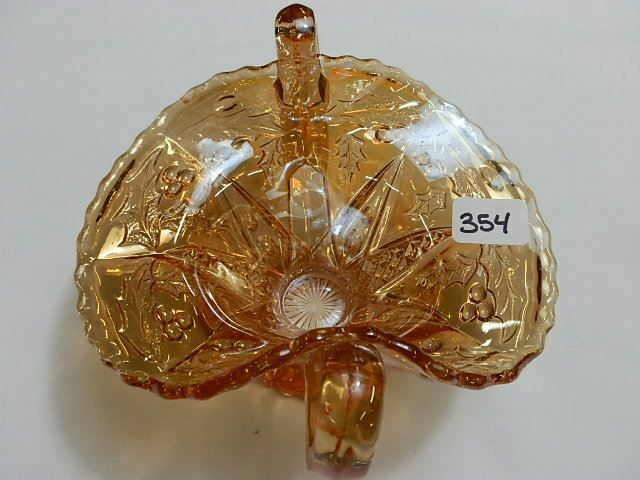 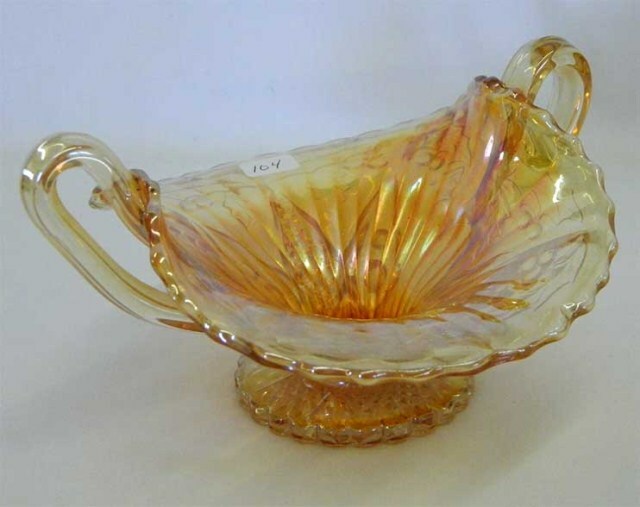 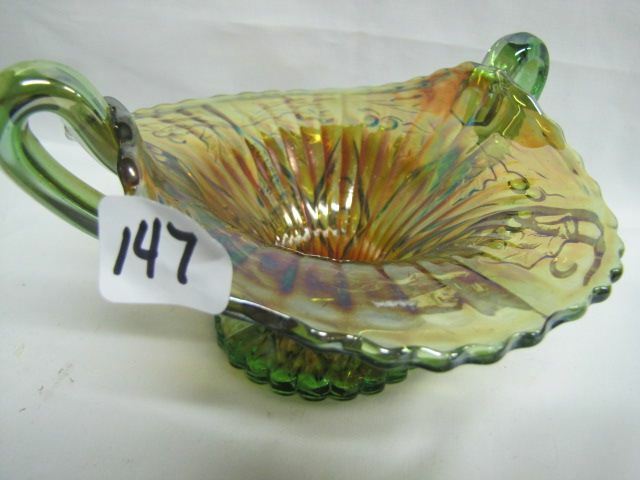 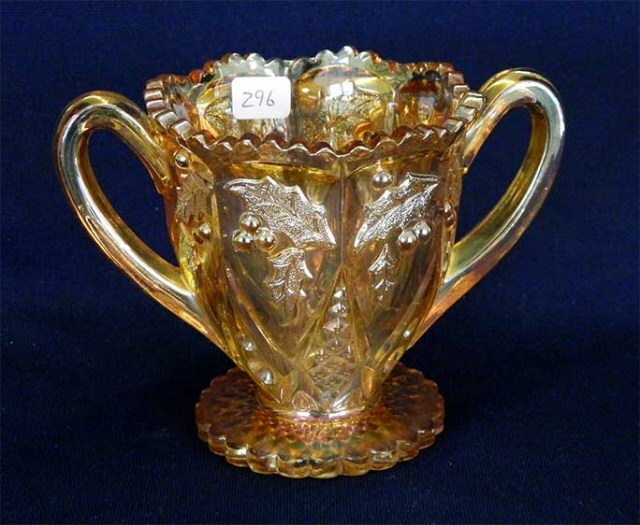 A marigold spooner, also the only one known, sold the same year for $425.